Project management professional certification is an industry expectation for project managers everywhere. Read to learn more about this certification and why project managers are expected to obtain this prestigious accreditation. 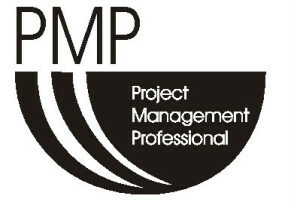 The Project Management Institute (PMI) provides a wide range of certification programs for entry-level, intermediate and senior project managers. The project management professional certification is the standard accreditation that is recognized throughout the world for team and project leaders. The project management professional course is designed for anyone who must develop projects and lead cross-functional teams. Examinees are given four hours to complete the project management professional exam that contains 200 multiple-choice questions. There are two qualification categories for the exam. First, the examinee must have a secondary degree, such as a high school diploma or associate’s degree, and 35 hours of project management related experience. Examinees must also have over 7,500 hours, which is approximately 937 work days, of experience leading and directing projects. The other qualifying eligibility requirements for the exam are as follows: a bachelor’s degree with 35 hours of project management education and 4,500 hours, or 562 work days, of project management employment experience. Finally, graduates must maintain their certification through earning 60 professional development units every three years. The exam covers four domains: project initiation, planning, executing, monitoring and closing. For example, the project initiation phase covers how to perform project assessments, define high-level scopes and perform key data-driven analyses. The planning domain contains questions about how to develop budgets, create work breakdown structures and implement HR management plans. The next domain, execution, contains the most questions and covers topics such as risk, resource and quality measurements and systems. The fourth domain, monitoring, tests the examinee’s knowledge of how to measure and control risks and performances. The fifth and final domain, closing, covers how to obtain client acceptance and transfer ownership of tangible assets and intangible deliverables to clients. The project management professional exam asks in-depth questions that test the examinee’s proficiency in project management. A common question would ask the examinee how they would deal with an unfinished task that has an approaching deadline. The examinee would choose from the following answers: utilize additional resources, escalate funding, implement overtime or issue a corrective action. Another question may ask the examinee to identify the purpose of reviewing performances, whether it is for status updates, performance management, risk identification or scope review. What Skills and Knowledge are Needed? Examinees should have demonstrable active listening, conflict resolution and cultural sensitivity skills. They should be familiar with industry standard data gathering, decision making and presentation tools and techniques. Being familiar with the PMI’s code of ethics and professional conduct standards will help. Students should also be familiar with popular project management software programs, such as traditional desktop programs and cutting edge, web-based programs that are powered through cloud computing. Examinees should have strong communication, leadership and prioritization skills. The project management professional certification is the global accreditation standard for leaders around the world, which teaches them the skills and competencies needed to excel in their positions.